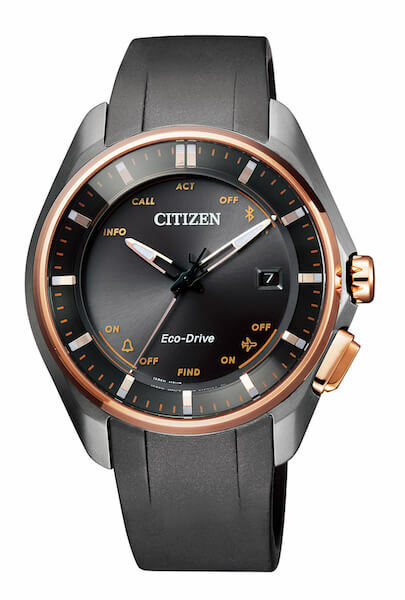 CITIZEN is proud to announce the launch of Eco-Drive Bluetooth W410 on 14th September 2018. The watch was worn by Naomi Osaka in the final match of the U.S. Open for her first Grand Slam title. 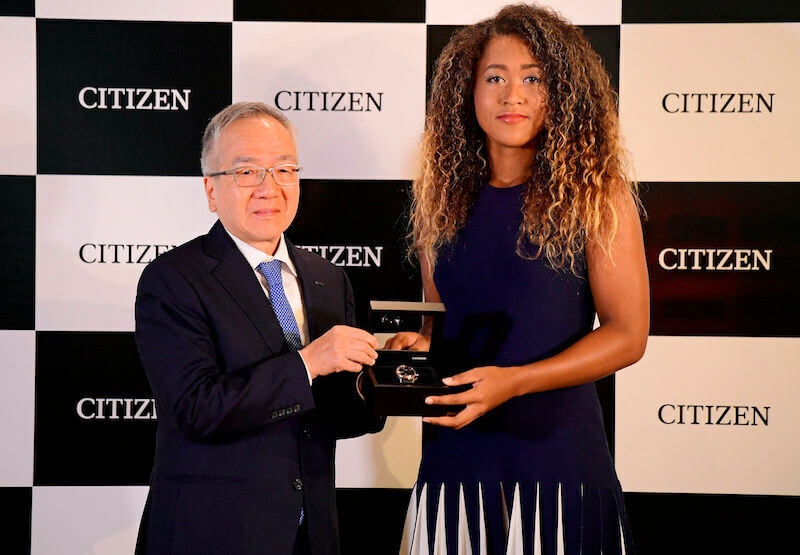 Naomi Osaka, signed as the new brand ambassador of CITIZEN, headed into this year’s US Open and took home her first major victory in her pro career with her defeat over Serena Williams. Winning 6-2, 6-4 in a highly exciting yet controversial match, Osaka became the first Japanese woman to win a Grand Slam final. Under the brand statement “Better Starts Now,” which encapsulates the belief that no matter who you are and what you do, it is always possible to make something better — and now is the time to start doing it, CITIZEN embarks on a new pivotal brand initiative since its foundation a hundred years ago in 1918. 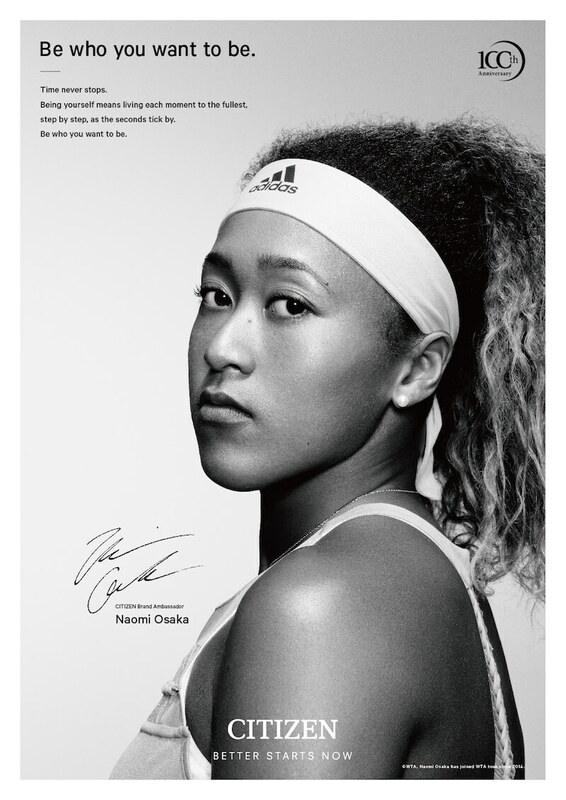 In the same spirit of striving to become ever better, tennis professional Naomi Osaka is the ideal “Better Starts Now” symbol to demonstrate an uncompromising drive to become the top of her game worldwide without the pretension that sometimes comes with fame and accomplishment. CITIZEN continues to support athletes of various sports from figure skating, table tennis to rugby, who represent not only Japan but other countries as well, in their pursuit of sports excellence. This integral spirit of always striving to improve befittingly aligns with the company’s deep-rooted philosophy of constant innovation as a true manufacture d’horlogerie throughout all phases of manufacturing from design and production of movement components to the watch’s final assembly. Osaka wears Eco-Drive Bluetooth W410, combining connected features such as smartphone call or text notifications with the style and precision of fine analog timepieces. CITIZEN will launch a full collection of Bluetooth models in a variety of cases sizes for men and women on September 14, 2018 all utilizing this same watch movement. Naomi Osaka continues to advance in the sport, challenging top players from around the world. As a young and energetic professional, she has a prominent future ahead, which makes her an ideal partner for CITIZEN’s “Better Starts Now” brand communication. For further information about Naomi as our brand ambassador, please visit the promotional website. Born on October 16, 1997 in Osaka, Japan to a Haitian father and a Japanese mother. Moved to the U.S. at the age of three and currently resides in Florida. Started tennis taught by her farther, joined the International Tennis Federation (ITF) tournaments at the age of fourteen, and turned professional in 2013. Qualified for the Women’s Tennis Association (WTA) tour championship in July of 2014 at the Bank of the West Classic for the first time. In January 2016, at the Australian Open, qualified to enter her first Grand Slam, rolling into the third round and achieved into the top 100 of the WTA rankings. In the same year, reached the third round of the French Open and US Open as well. In October 2016, at the Toray Pan Pacific Open, reached her first WTA final and moved into the top 40 of WTA rankings. Won “Newcomer of the Year” at the 2016 WTA Awards, an award given to the player who made the biggest breakthrough. In March of 2018, became the first Japanese woman to win the Indian Wells Masters in California, U.S., also known as BNP Paris Open — the Premier Mandatory category — widely considered the second biggest event in tennis, right behind the Grand Slam, joining the ranks of worldwide top players. In September 2018, she won the U.S. Open Women‘s Singles as her first Grand Slam title, which is very first for all Asian tennis players. A must-watch up-and-coming player with a powerful serve, Naomi takes advantage of her 180cm height and forceful forehand. Ranked as No. 7 in the tennis world as of September 10, 2018. Simple dial design with a touch of retro feel shows functions as icons rather than words. User interface features white background for better readability and a power reserve indicator.